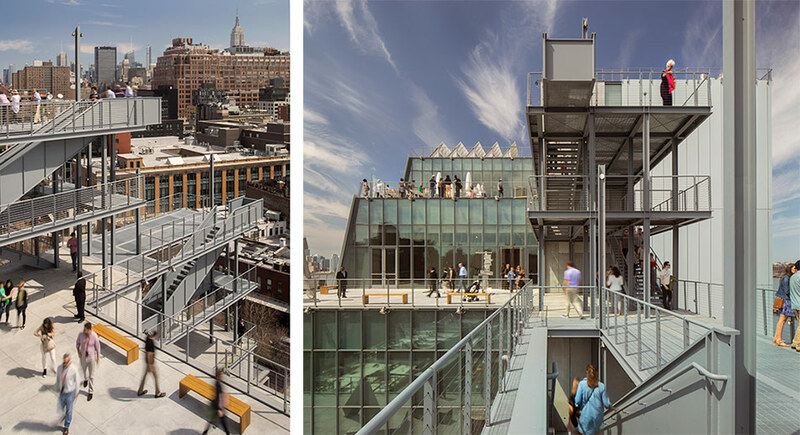 The new Whitney in the Meat Packing District affords views of both the High Line and Hudson River from different perches and terraces. It has been a long winter in New York. Spring is finally burning off the fog of malaise that has seemed to settle on many New Yorkers. Fatigued by crowded subways with increasingly frequent delays and endless talk about skyrocketing rents and rising costs of living, New York hasn’t seemed like the vibrant, stimulating urban caldron that it used to be. In cultural circles there has been endless hand-wringing about the state of the city’s museums, most exemplified by the many critical freak-outs about the current Björk exhibition at MoMA, which most art writers have dismissed as both cynical and superficial—symptomatic of a slavish drive for spectacle events over serious artistic or scholarly engagement. 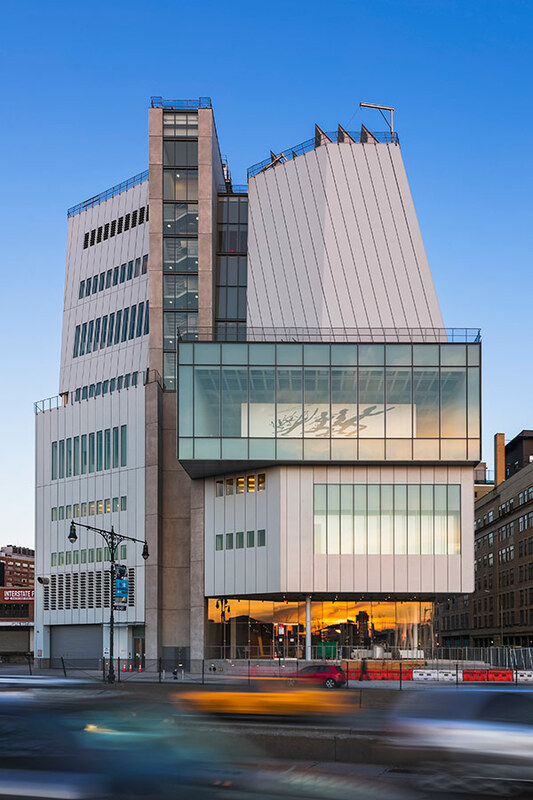 Playful yet earnest, the Whitney Museum has often served as a foil to MoMA’s high gloss enterprises. 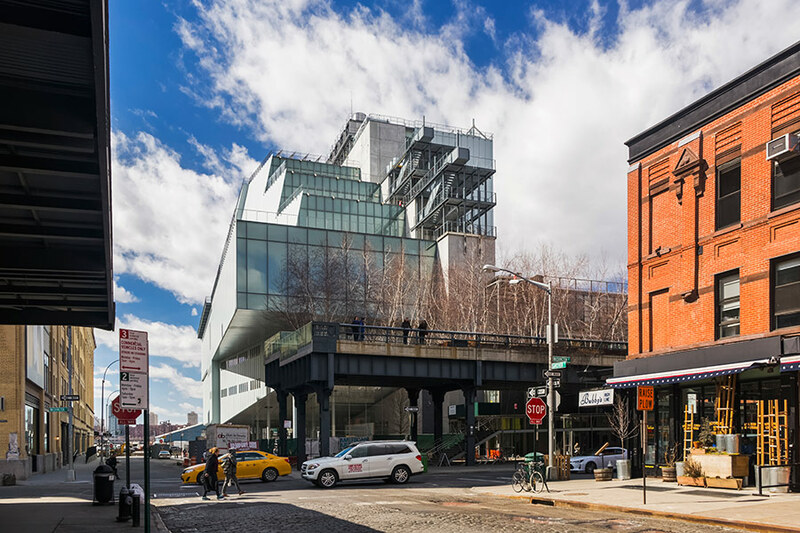 So the Whitney’s confident return in a new Renzo Piano-designed home at the foot of the High Line feels like a refreshing and edifying corrective. 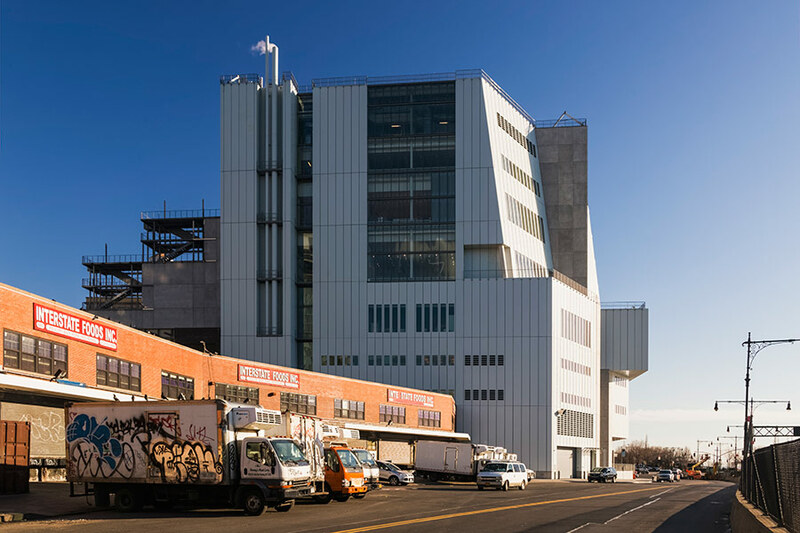 Whitney officials have touted the new building as a “playground for artists.” A small historical show in the museum’s free gallery off the lobby documents this artist-centric tradition, which dates to the museum’s founding by the sculptor and heiress Gertrude Vanderbilt Whitney. The museum’s smart, low-key curators want to keep that tradition alive even as they join the big leagues, and they have had a direct hand in the shaping of the building to suit their needs. 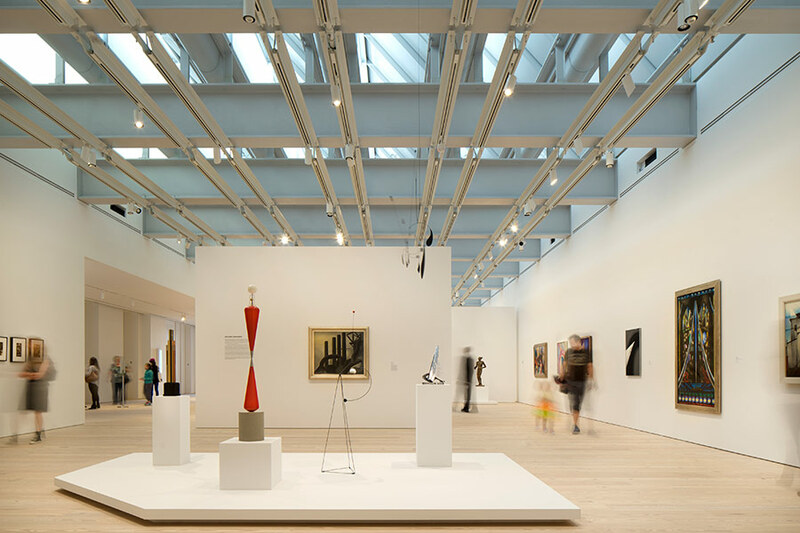 The museum has gained a tremendous amount of new gallery space (50 percent more than in their old Marcel Breuer–designed home) of differing scales and lighting conditions, all of which are designed to be easily reconfigured as needed. They also have, for the first time, a small auditorium and theater for film and performance events, which opens out to a large terrace. Even better, the art looks great on the walls. Now we get to see much more of the Whitney’s important collection, and the museum can better examine and interrogate the history and future of American art. 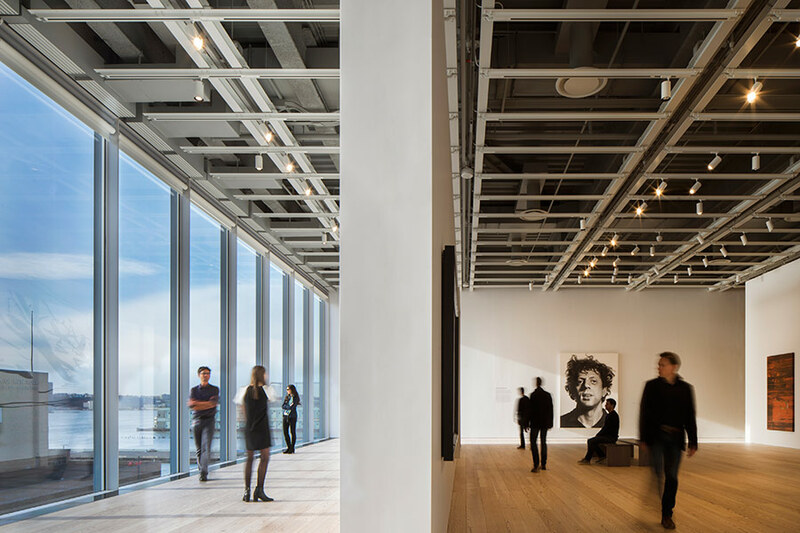 Just as important, the museum and its architects (Renzo Piano Building Workshop partnered with Cooper Robertson & Partners) have created a viewer-centric space. It’s a big building that never succumbs to gigantism. It offers many places for reflection, refreshment, and repose, like sofas facing out to the High Line or the Hudson. It also offers options to relax and avoid museum fatigue, like a pleasant café on the eighth floor, or a series of terraces overlooking the world famous elevated park. You can also take the exterior stairs from terrace to terrace for still more fresh air and remarkable city views. Many have complained about the building’s somewhat ungainly exterior, which has two very different faces. The Hudson-facing side is canted and ship-like except for a protruding rectangular volume. The High Line facing side is even more of a jumble, with the stepped back terraces and spindly staircases and catwalks. Given the context of the formerly industrial Meatpacking District, Piano’s building doesn’t seem entirely out of place. He seems to have designed the building from the inside out, putting function first and capitalizing on the surprisingly spectacular site. It is also built to withstand Sandy-scale or worse weather events, a necessity given its riverside location. No art is held below the third floor, save for a small (again, free to the public!) gallery on the ground floor, which could easily be evacuated. Piano’s building lacks the rich tectonics and the memorable heft of the vacated Breuer building uptown. While moving through Breuer’s building was a profound architectural experience imbued with a sense of craft and traces of the hand of the architect, Piano’s Whitney is more like a machine for viewing. 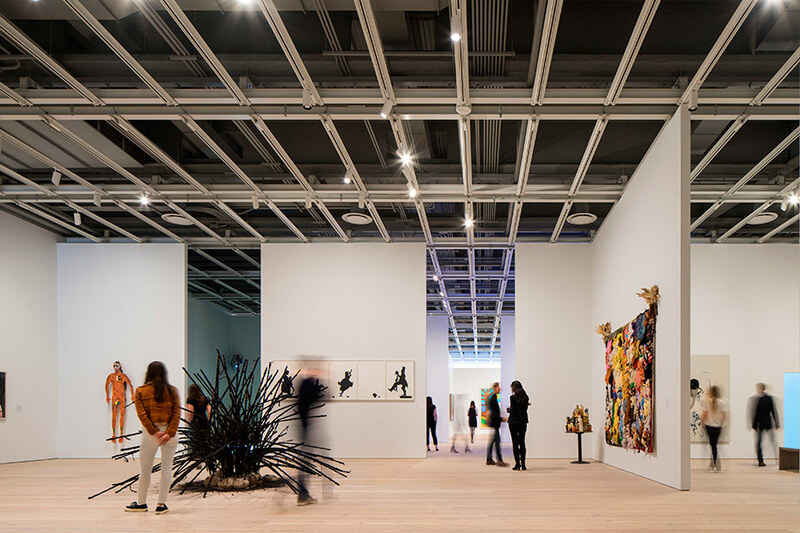 Piano and the Whitney curators understand that viewing art is not a static act, but rather a sequence of experiences of looking, focusing and unfocusing, thinking, moving, standing, sitting, etc. Its gently lit galleries, carefully framed views of city and river, and moments for reflection, combine to create perhaps the most satisfying museum environment among the city’s large art museums. It’s enriching rather than exhausting. 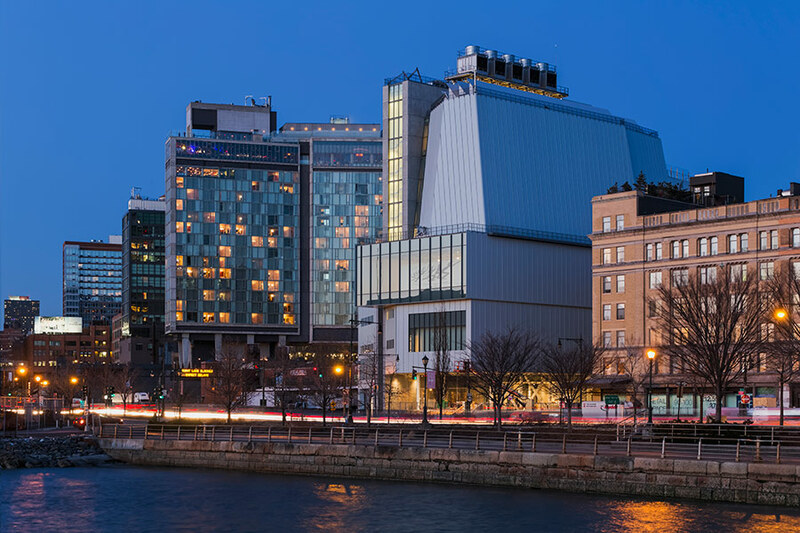 Piano may not have made a building to love, but he has made a building that will allow the Whitney to evolve and grow in its ambitions, and possibly to become an institution about which weary New Yorkers can rejoice.